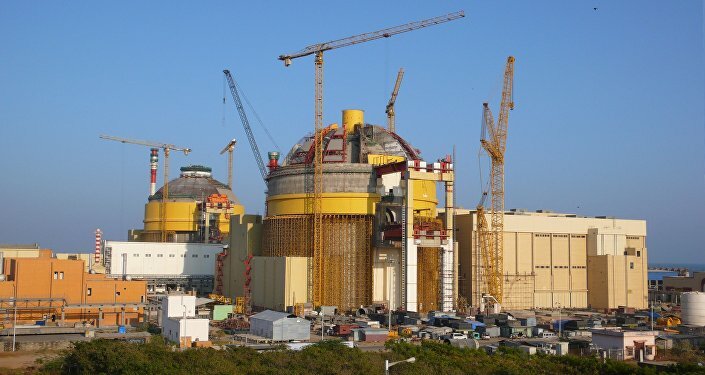 New Delhi (Sputnik) — India has put into operation an upgraded research reactor at the Trombay campus of the Bhabha Atomic Research Centre that was originally planned to be dismantled. The newly upgraded research reactor is completely indigenous and it will increase indigenous production of radio-isotopes for medical application by about 50 percent, according to India's Department of Atomic Energy (DAE). "The reactor, made indigenously, uses plate type dispersion fuel elements made of Low Enriched Uranium (LEU). By virtue of higher neutron flux, this reactor will increase indigenous production or radio-isotopes for medical application by about fifty percent and would also be extensively used for research in nuclear physics, material science and radiation shielding," said the DAE in a statement issued Tuesday. CC BY-SA 2.0 / IAEA Imagebank / Nuclear power plants (Pressurized Water Reactors) under construction at Kudankulm, India. Apsara was the first research reactor in Asia to become operational at the same campus of the Bhabha Atomic Research Centre in August 1956. After providing more than five decades of dedicated service to researchers, the reactor was shut down in 2009. In the original reactor, the maximum thermal neutron flux level was about 1 × 1013 n/cm2/s at designed power (1 MW) whereas in the upgraded version, flux is 6.1 × 1013 n/cm2/s of 2 MW power. 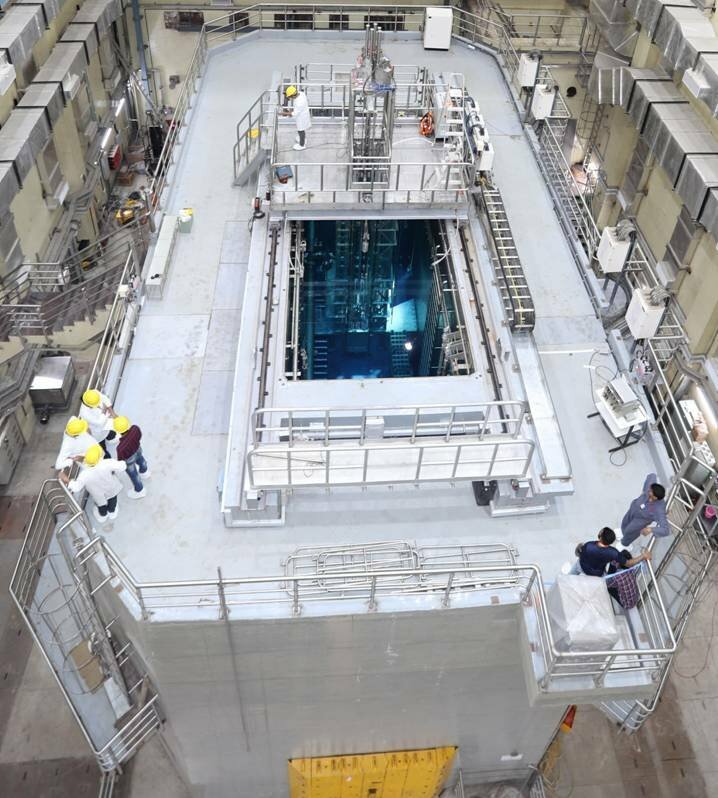 "Nearly sixty-two years after Apsara came into existence, a swimming pool type research reactor 'Apsara-upgraded' of higher capacity was born at Trombay on 10th September. This development has re-emphasized the capability of Indian scientists and engineers to build, complex facilities for health care, science education and research," the DAE statement added. The upgraded reactor will mainly be used to provide enhanced facilities for beam tube research, neutron activation analysis, neutron radiography, neutron detector development and testing, and shielding experiments.